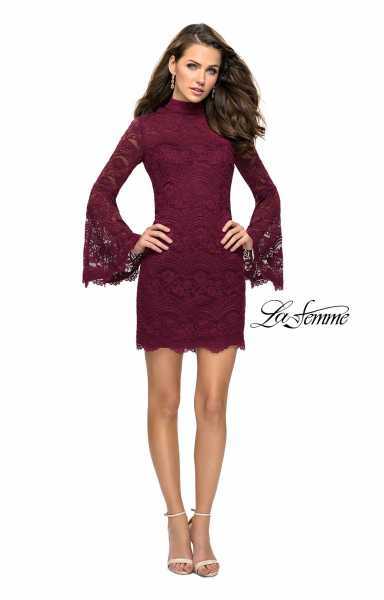 Stand out while wearing this amazing La Femme 26668 lace dress. 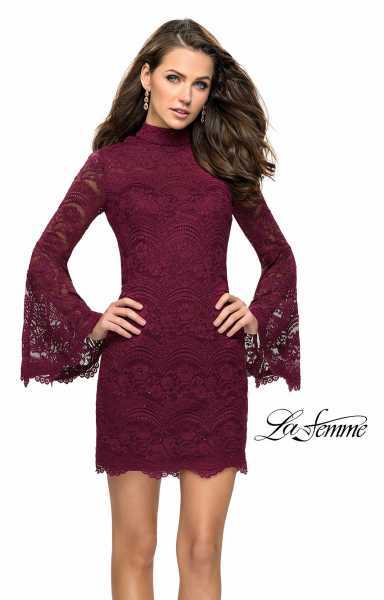 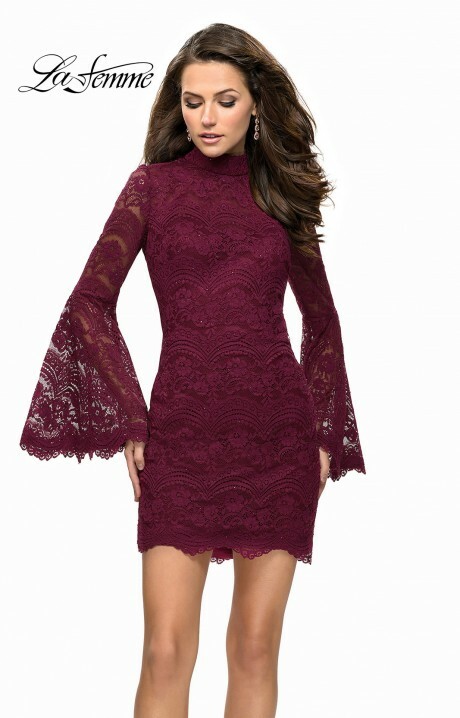 This dress has long sleeves that flare out towards the end to create the perfect bell sleeve. 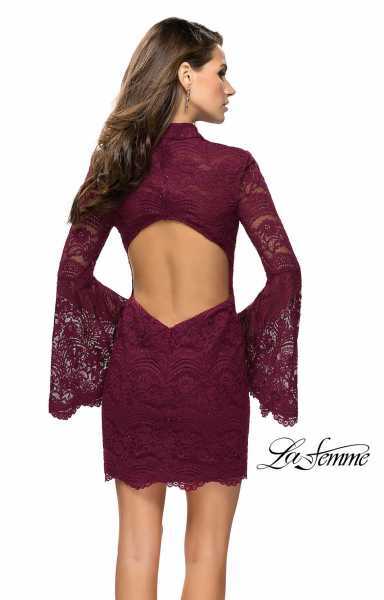 The neckline is high, but the back is completely open. The dress will be fitted to your body.